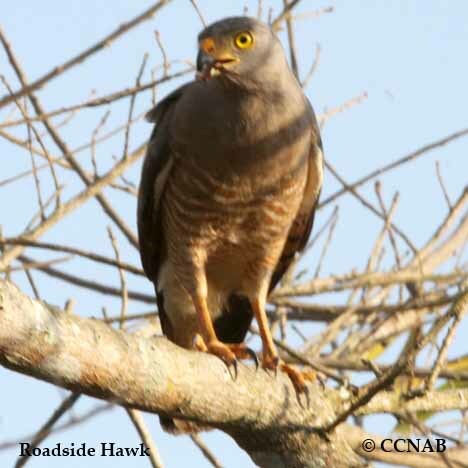 Species: The Roadside Hawk (Buteo magnirostris) is a vagrant bird of prey seen in Texas, along the Rio Grande River in the extreme south-eastern regions. This is the smallest member of the buteo family. 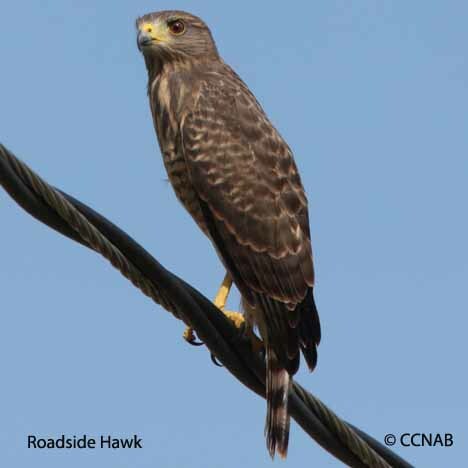 Prefers open landscape, with groves of trees, seldom soars, but is commonly seen perched along highway on fence post, or utility wires. 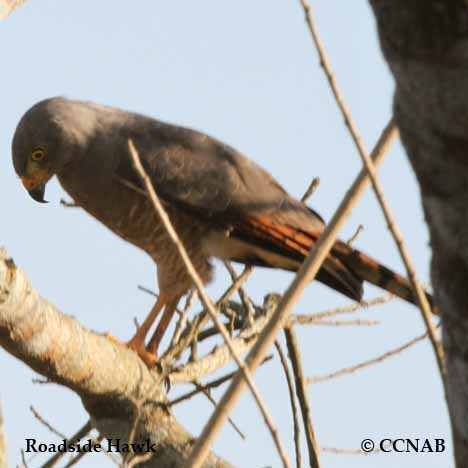 Has an upright posture, when seen perched. Seems to be comfortable around people, shows little alarm when approach. Distinctions: Adults are similar, females larger than the males. 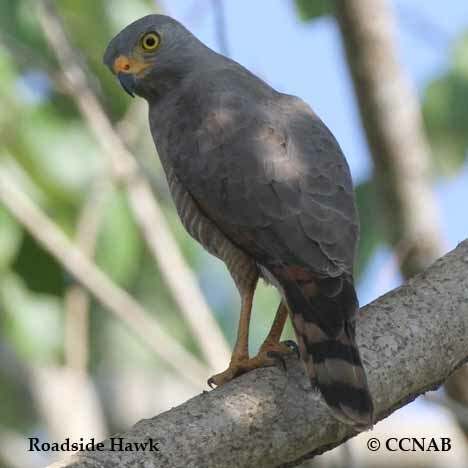 Mostly, grey back, head and neck, orange or reddish-brown barring on lower breast, light barring seen on the under wings. Multiple bands on tail. Under wing shows large orange patches near wing tips. Juveniles display whiter plumage from below, grey head and back. Tail has multiple banding, but not has heavy or as wide as the adults. Shows a hint of a whitish-grey supercilium. Voice: Call notes sounds like nasal sharp "kee-yoouuu". Nesting: Two to three white and brown eggs. Nest built in the higher limbs of mature trees. Nest composed of branches, sticks, twigs, grasses and other soft materials. Distribution: A rare visitor north of the Rio Grande River in the regions west of Brownville, Texas. 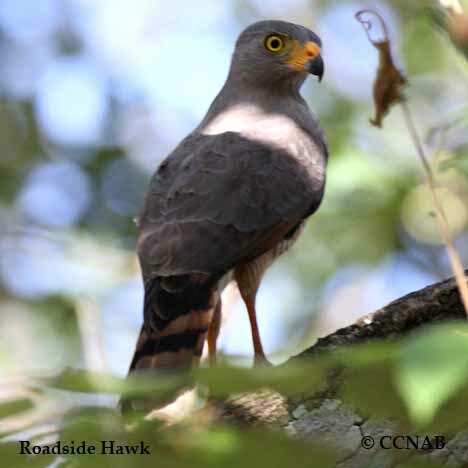 A common hawk found throughout the southern regions of Mexico, along the Pacific and Caribbean coast, not common in the central areas. Common throughout Central and South America, prefers the lower elevations, from sea level up to 500 meters.